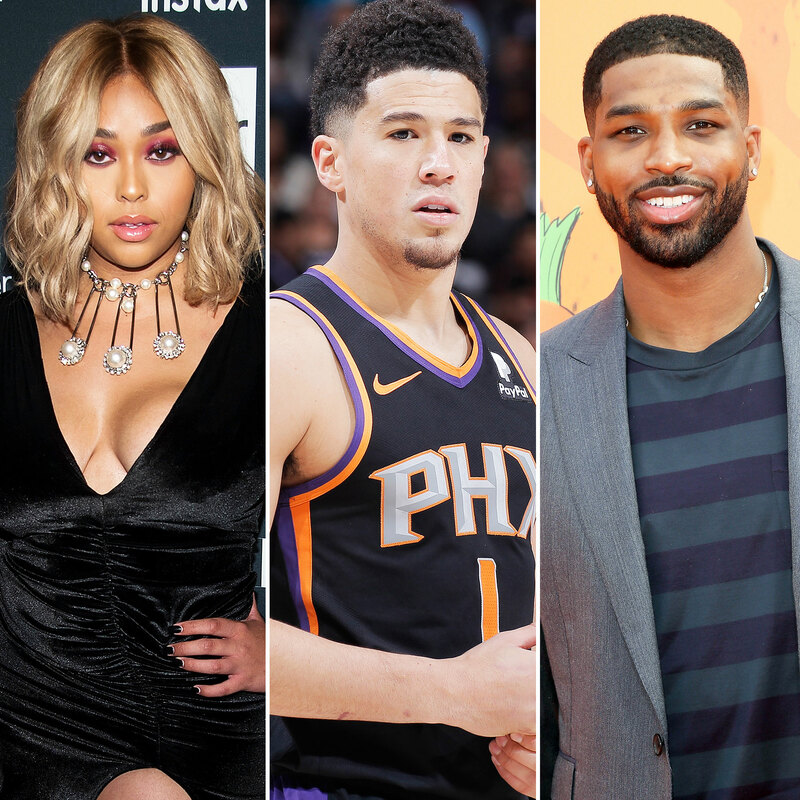 Khloé Kardashian and Tristan Thompson were still together when he cheated with Jordyn Woods, the model and her boyfriend, Devin Booker, quietly split before the hookup occurred, multiple sources confirm to Us Weekly exclusively. Woods, 21, and Booker, 22, were spotted on a double date with Kendall Jenner and her boyfriend, Ben Simmons, at The Nice Guy in Los Angeles in May 2018. Booker is a shooting guard for the Phoenix Suns, while Simmons, also 22, is a point guard for the Philadelphia 76ers. The Strong Looks Better Naked author “is not mad at Kylie” over the scandal, but her famous family doesn’t know what is going to happen between Woods and the 21-year-old Kylie Cosmetics CEO, who have been friends for years. Kim Kardashian has since unfollowed both Thompson and Woods on Instagram, and Kendall removed the Cavs player from her following list. Multiple sources also told Us that Woods moved out of Jenner’s home in the wake of the scandal. Thompson was previously caught cheating on the Revenge Body host in April 2018, just days before she gave birth to their daughter, True.